I was a bit confused to what this movie was, until I read about it in IMDB. It turns up, that it is meant to be an introduction to the second game of Assassin's Creed. As I have never played any of the games in the series, this might could my judgment a bit. 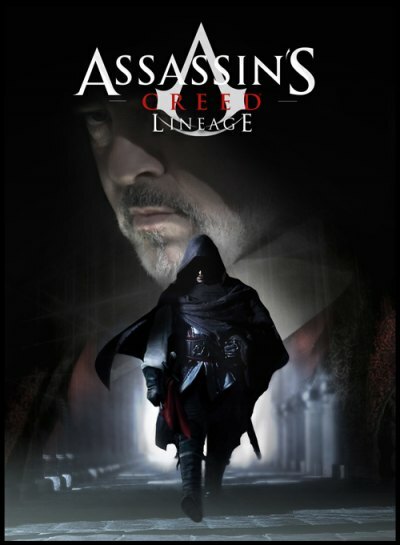 Giovanni is an assassin working for the catholic church during the Italian Renaissance. His work it top secret, and even his family does not know of his deeds. His job is to weed out corruption withing the church and this is best done with a cold steel blade. It is a short movie (approx. 35 minutes), and during this time we are only introduced to what might have turned out to be an interesting plot of intrigue and corruption. I guess this is where the game takes over. Obviously the game would be 100% animation, but this short movie is sort of a hybrid between animation, CGI and real actors. It works mostly, but at times the effects become a bit too plastic-like. It is still giant leaps in front of Beowulf though. If you are in mood for half an out of impressive renaissance assassin action and maybe a bit more into the game than I am, this might be worth a watch for you.